Skinny Meg: Bellefit Review and Giveaway! 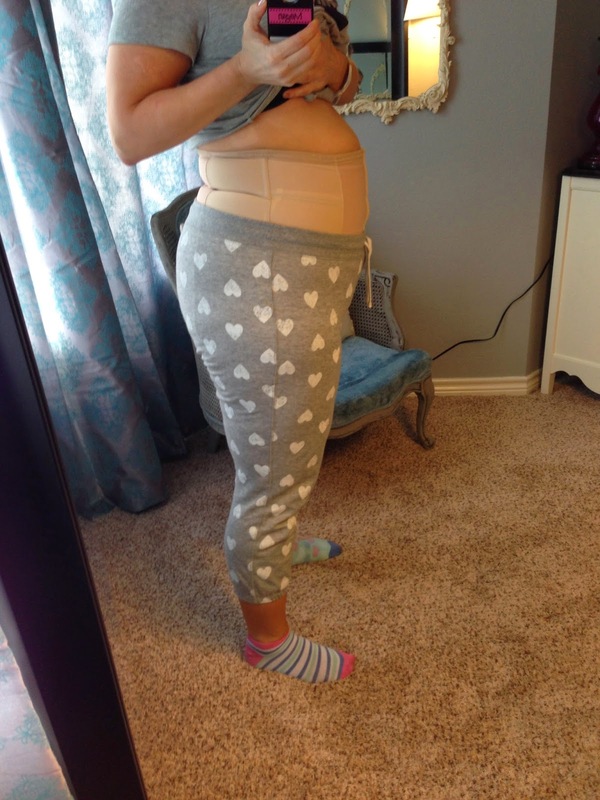 While I was pregnant I heard some talk about girdles and corsets being used after giving birth to help shrink the stomach and support those poor busted abs. I did lots of reading and research to find the best one and I finally settled on a Bellefit. I chose this one based on lots of positive reviews, quality of their website and customer service, and the design of the product. So what exactly is a girdle/corset?? 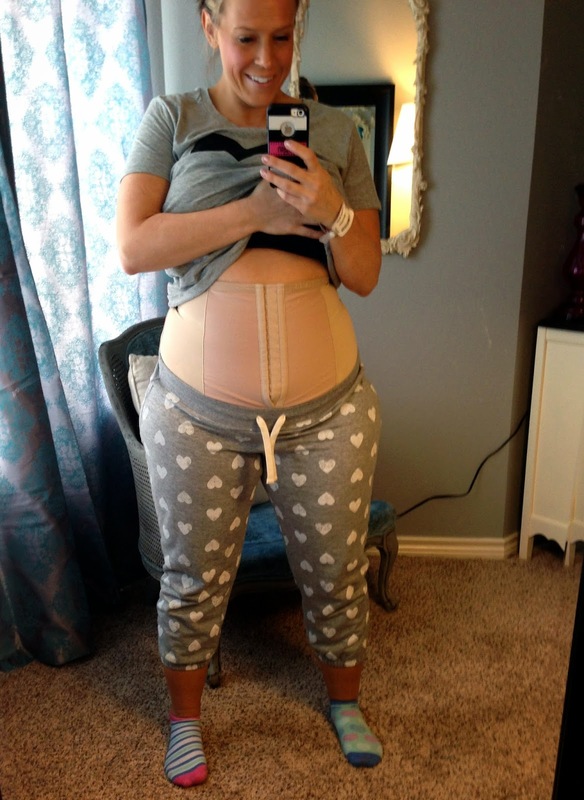 The concept of using a compression girdle garment designed to support postpartum recovery is not new, but modern versions are certainly seeing a resurgence as a safe option for women to recover from childbirth. Women’s bodies are built to bounce back from pregnancy and childbirth, but the reality is that it can be difficult to “bounce back” without help. During pregnancy the body secretes hormones such as estrogen, progesterone and relaxin that remain in your body after childbirth for approximately six months. These hormones are our body’s way of loosening the pelvic structure, joints, ligaments and the abdominal muscles (stretching of the abdominal area by as much as 50%), to prepare for childbirth. A pregnant woman also maintains a blood volume one and a half times her normal levels. That is a lot of extra fluid! In addition, you tend to retain water later in pregnancy – many pregnant women have experienced swollen ankles, feet, or hands. A common, but potentially dangerous condition, eclampsia, causes significant water retention and high blood pressure. Plus, most women who birth their babies in hospitals have an IV during labor and birth. An IV delivers fluids to the body and serves as vehicle for some medications that a woman may receive during childbirth, like Pitocin. Because the IV delivers extra fluids directly into a woman’s blood vessels, there is even more fluid for a woman to lose after a hospital birth! After you’ve given birth your body is still “loose” and full of fluid, which is where a compression girdle comes in." I bought the girdle with the front closures because I was having a c-section and I wanted to be sure it was easy to go on. I was nervous about getting the right size since I felt like a house, but their customer service is terrific, I highly recommend getting help with the sizing! I was very pleased with how easy it was to get on, even when I couldn't stand up straight from my surgery. My biggest challenge after giving birth was being able to get around and wearing the corset helped me feel more comfortable, actually I hated NOT wearing it! I wore it for 4 weeks after birth. It's not terribly visible under clothing, but I usually layered a tank on top of it when I went out. It was super comfortable to wear all day and even to sleep in, no adjusting or pulling at all! Bellefit has a variety of items for postpartum, nursing bras and pj's are just a few. 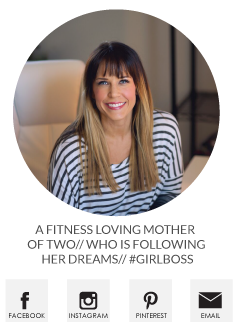 I think my corset was worth every penny, anything I could do to make myself feel better after giving birth, so of course I'm excited to give y'all a chance to win a fabulous prize pack from Bellefit! Which adds up to a total value of $216.94! General Condition for participants: In order to enter and win this Bellefit sponsored giveaway, please note that one (1) individual can only win a Bellefit giveaway prize package once (one time) within a period of three hundred and sixty five days (365) in any Bellefit giveaway and/or sweepstakes from any source. I bought this corset for myself and only after wearing it and using it did Bellefit offer to sponsor a giveaway - all opinions are my own. I am so happy to hear about your experience with this corset. I had a horrible recovery with my son from my c-section and am having another one in September. I hope I win this, but if not I will definitely be ordering one! I am glad to hear it was easy to put on even when you couldn't stand up. And their pjs look super comfy! Just had my c-section. Really hope I win this. Oh please, please, please :) +/- 6 weeks to go until baby #3 makes an appearance! I wish I would have know about this after I had Oli. Oh well, maybe with the next one (not happening anytime soon). I'm still wearing a binder to try to correct my abdominal muscles! I want a review of which bra you ended up with! I had the hardest time with bras! wow this one sounds awesome!! I've actually never heard of it!! great giveaway!! I'd love to win! I'm having our first baby in November and am gonna need all the help I can get! What size did you buy? Scentsy Giveaway - Father's Day Edition! Meet Meg of Veggie Staples. Mama's Going Back to Work! Look Skinnier without an App. Random Day of Fun and a Link Up.